Two screens from Google Now for iOS. It’s a product cycle familiar to anyone who’s worked with mobile apps or social networks. It starts off with a developer or startup building the Software That Will Surely Change the World, which relies on the user inputting (or letting the software take) a certain amount of personal data. Sooner or later, the company building the software begins to run out of funding, or else its investors demand a sizable return on their outlay. The company seizes on a brilliant idea to make those financial concerns go away: leverage that user data for advertising. And that’s when things get a little bit sticky. People are touchy about how their personal data is used—with good reason. Every time a Facebook or Google tries something new with regard to ads or features that involve user data, it inevitably sparks weeks’ worth of protests from their audiences. People threaten to quit using the service or app; they post nasty messages about totalitarian New World Orders on Twitter and online forums; they cheer like Visigoths storming the gates of Rome when the company behind the app decides to pull back on its previous plans. For quite some time, fears of blowback over user privacy have stopped developers from rolling out some features that are truly magical (or scary, depending on one’s point of view). A few years ago, a high-ranking executive at Microsoft suggested to me that Bing—in conjunction with Facebook—could surface things about its users that would seem downright clairvoyant, but that enabling that sort of functionality would make the search engine seem a little too Orwellian in its reach. He seemed almost sad over that fact, given the supposed coolness of those search features. Foursquare might be the next company caught in this particular conundrum. The popular location-and-social app—so good at allowing people to become the “mayor” of their local coffee shop—is facing loads of competition from apps such as Shopkick, which have learned how to leverage their users’ location data in a way that isn’t creepy and draws in big bucks from sponsors and advertisers. Meanwhile, Foursquare is catching flak about its business model being unsustainable, despite CEO Dennis Crowley’s protests to the contrary. Earlier this week, Valleywag obtained “an internal Foursquare document” suggesting that the company’s future revenues could come from advertisers using check-in data to target users “outside of the Foursquare app.” Those advertisers would also pay for Foursquare to surface “contextually relevant” ads in conjunction with users checking into a particular place. If Valleywag’s document proves accurate, and Foursquare activates those advertising platforms, and they manage to attract revenues without irritating the app’s user base, then the company will have managed to carefully walk the tightrope between users, advertisers, and Wall Street expectations. Not all companies are nearly so lucky: the once-popular app Path was hit hard by privacy concerns, which forced it to pay a hefty fine to the Federal Trade Commission. But there are also signs that people could become more accepting of IT companies’ use of personal data. 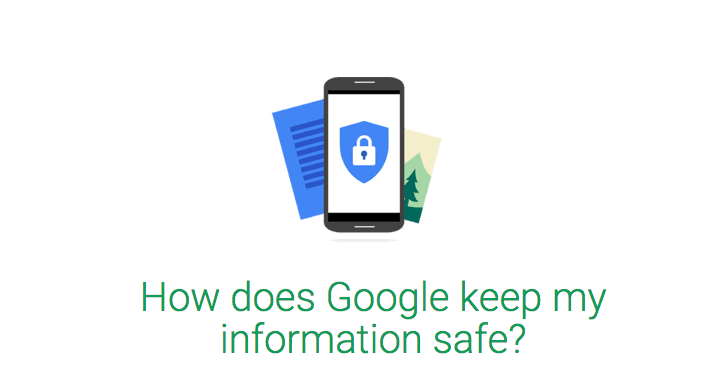 When Google recently issued its Google Now app for iOS, any public cries over potential privacy violations seemed muted—despite the fact that Google Now drills deep into the users’ Gmail, calendar, and search data. (There was a similar silence when Google Now first appeared on Android devices.) Facebook released Home, an app that “skins” the Android user interface to place the social network’s content front-and-center—and nobody protested much over that, either, despite the possibility that Facebook is pulling more data than ever from users’ smartphones. Sounds great, huh? But with the decay of privacy barriers (notwithstanding some massive government intervention to protect privacy through policy), a peculiar phenomenon might emerge: our personal thresholds for what’s considered “damaging” information may rise to the point where things that seem scandalous now are merely par for the course in a few decades; our whole lives might be displayed online, but we’ll simply no longer care. That potential future might be great for advertisers, marketers, and other companies—they’ll have more data than ever to chop, dice, and analyze. But it might not prove so wonderful for ordinary citizens who want to preserve as much privacy as possible. With some of the new apps rolling out, there’s the possibility that expectation for privacy could erode a little more.